Mom and I had grown apart as I aged. While she adored my three kids and was thrilled that we had chosen to bring them up Jewish, she was as deeply engrossed in her career as I was in mothering. My family and I had moved to Arizona in 1972 to be close to her, but when I moved back to my beloved East in 1987, I felt a kind of relief. I would no longer have to face the daily disappointment, recognizing that the expected connection we had always had no longer seemed to be there. We spoke on the phone several times a week, and we visited as often as we could, but for better and worse, it was never the same. Just before she died in 1999, Mom asked me if she had done enough. 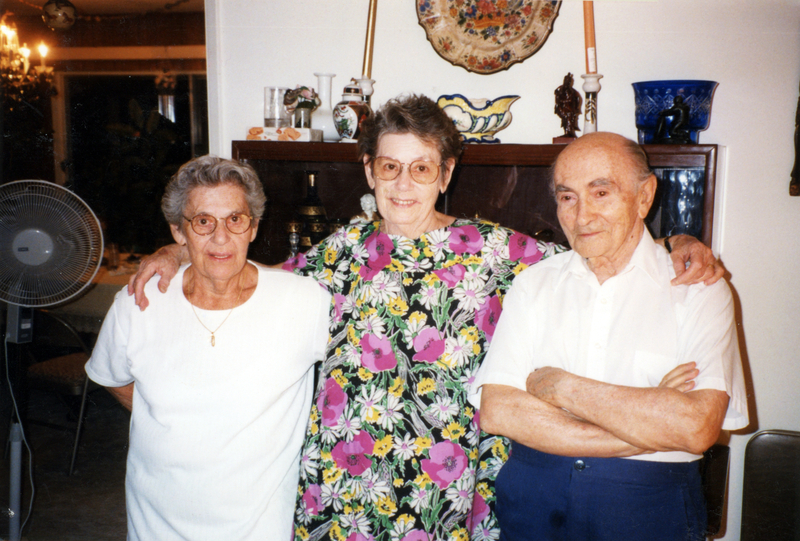 Charlotte with her younger sister Ruth (center) and Ruth’s husband Uncle Fred. The three were constant companions, especially after Herma’s death, and when Charlotte died suddenly in 1999, the loss was devastating to the last remaining sister. No one could have done more.